Dear Readers, Here we have listed the important military exercise that conducted between Indian and various countries around the world, which was an expected GK topic for upcoming examination. 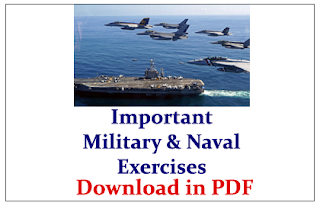 Candidates can also download this in PDF. Detailed Solution for the Model Question Paper-III will be updated shortly…!